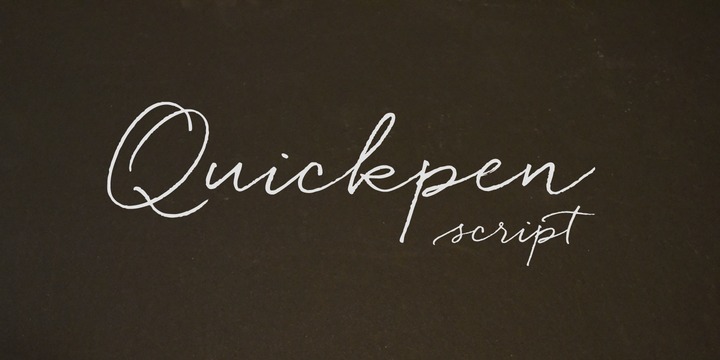 Quickpen is a casual calligraphic, handwritten typeface created by Laura Condouris and published by Trial by Cupcakes. With it’s carefree attitude inspired by the fast pen writing style, Quickpen comes packed with ligatures, contextual alternates and swashes for a natural looking writing. This pen inspired font script has natural curves, casual look perfect for your future design projects. Quickpen is a must have! A font description published on Tuesday, April 8th, 2014 in Fonts, Laura Condouris, Trial by Cupcakes by Alexandra that has 21,824 views.